The museum world is full of crazy jobs, of which the following four are just a sample. If you have an odd, crazy, unusual, quirky, or rare museum job to add to the list, send us an email or let us know in the comments below. Photo by Gilles Gonthier via Flickr. The Crystal Bridges Museum of American Art is nestled into the wilds of the Ozarks. While it would seem that having a world-renowned art collection surrounded by the majesty of nature would be an ideal museum setup, all was not well in Arkansas. When one furry native confused the line between green grass and green roof, the Trails and Grounds Crew at the museum had a problem on their hands. 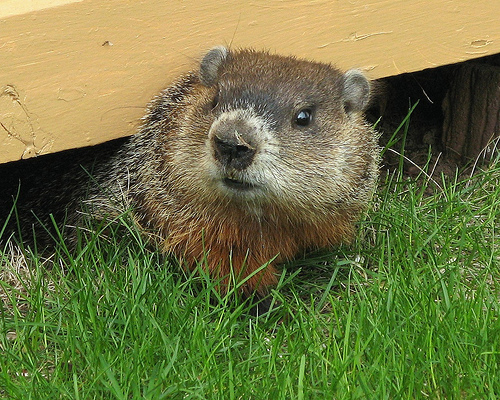 However, a solution presented itself in the formation of the Groundhog Relocation Group. The GRG began to woo the groundhog from its burrow atop the museum roof: bouquets of flowers, fruit, and—every lover’s favorite gift—lettuce, until they finally managed to trap the rascally fellow and relocate him to a more distant portion of the surrounding woods. However, lest you think that being a member of the GRG was a temporary position, other groundhogs have continued to appear on the museum’s roof—most likely because they heard people were giving away delicious lettuce—and require relocation. Let’s be honest. More museums should consider adding this position to their payroll. But, until that happens, Emily Graslie at Chicago’s Field Museum of Natural History seems to be a shining example of how beneficial a Chief Curiosity Correspondent can be for an institution. Over the last year, Emily has been hosting a YouTube show—BrainScoop—that takes virtual visitors behind the scenes at the Field and, as her title suggests, attempts to inspire scientific curiosity in her viewers. Photo by Webbaliah via Flickr. Apparently aging lizards—like the Woodland Park Zoo’s gila monster—have issues with gum disease. I would guess that having the ability to secrete venom in your mouth does a number on the gums, but I will be the first to admit that I have zero knowledge about the oral hygiene of lizards, venomous or otherwise. 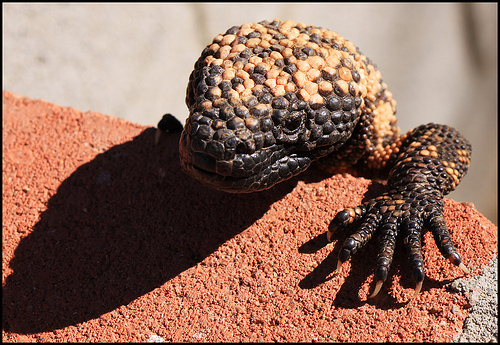 Whatever the cause, gila monsters need some help keeping their pearly whites healthy. Enter the zoo’s resident gila monster teeth cleaner. Armed with a small toothbrush—and a rather docile lizard—this animal lover has his patient on the way to a gingivitis free mouth in no time at all. Guess even monsters like that fresh-from-the-dentist feeling. Photo by middric via Flickr. Now, this is one job that is nearly impossible for you to get, because, well, if you’re human you’re unqualified. For this job you would need to be a beetle, specifically a dermestid—or flesh-eating—beetle. 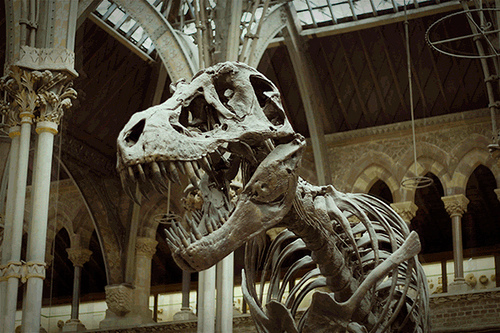 The dermestid feeds and breeds on dead animal flesh, which makes them the ideal creatures for cleaning skeletons in Natural History museum collections. There use in skeleton preparation is so common, that the dermestid is often referred to as a museum beetle. Their pay is minimal—like so many other museum employees out there—but their meals, room, and board are all included.